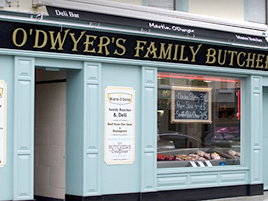 Martin O’Dwyer Family Butcher has a long and proud heritage in Cashel. We are a farming family supplying our own craft butcher business. All our beef and lamb comes from our own farm and is hand picked by Martin O’Dwyer.